You may have heard the legend of how Chevrolet's co-founder Billy Durant came up with its famous bow-tie logo when he saw the design on wallpaper in a Paris hotel. Except the legend isn't true. Here's the real story. William C. Durant, the co-founder of Chevrolet, loved to develop logos for his products. "This was also the year (1913) that the famous Chevrolet trademark was first used on the cars. The distinctive trademark has appeared billions of times on products, advertisings and sales literature as the mark of dependability, economy and quality in motor transportation. It originated in Durant's imagination when, as a world traveler in 1908, he saw the pattern marching off into infinity as a design on wallpaper in a French hotel. He tore off a piece of the wallpaper and kept it to show friends with the thought that it would make a good nameplate for a car." Billy Durant's widow, Catherine, however, claims that's not actually how he came up with the Chevy logo. According to Mrs. Durant — in an interview by Lawrence R. Gustin, who interviewed her for his book "Billy Durant," in 1973 — the bowtie emblem was first seen by her husband in an illustrated Virginia newspaper, while they vacationed in Hot Springs, Virginia around 1912. 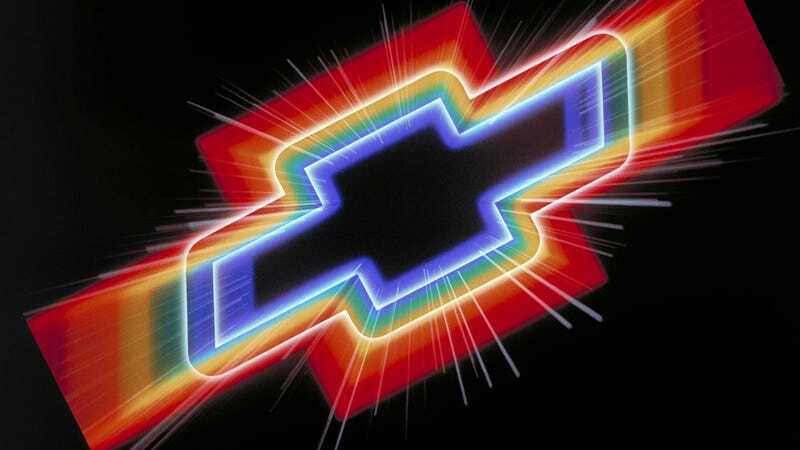 "We were in a suite reading the papers, and he saw this design and said, ‘I think this would be a very good emblem for the Chevrolet' "
Given that there were two competing explanations for the bowtie, it seemed that finding proof of one over the other would be nigh impossible. That is until Chevrolet historian Ken Kaufmann came across the key that unlocked the truth. Kaufmann, while reading old issues of the Atlanta, Georgia-based The Constitution from 1910 to 1917, came across an ad for Coalettes brand coal. The date of the ad? November 12th, 1911 — nine days after Durant incorporated the Chevrolet Motor Company. Notice some of the similarities between the Coalettes and Durant designed Chevrolet Bowtie! Both started with a ‘C', had nine letters, had the suffix ‘let', and were hard to pronounce-in a French way. Both emblems had a dark background with white boarders and white letters. The main difference was the Coalettes letters were slanted and used a stylistic type face, while Durant used a more formal Roman type face and squared off the center bow, three letters wide. It looks like the reason the Southern Compressed Coal Co. designed the bowtie logo in the first place was to highlight the large, middle ‘E', to help the public pro-nounce this coined word easier. Maybe, this is where Durant got the idea, "Pronounced Shev-Ro-Lay. " I looked up the suffix ‘—-let' or ‘-lette' in the dictionary and was surprised to find it means little or small. Therefore, the coined word Coalettes means "Little Coals." I would think the Southern Compressed Coal Co. had the Coalettes name and bowtie emblem registered as a trademark and will look through the trademark registrations at the Patent Office in the future. So, basically, General Motors might owe whoever owns the current rights to the Southern Compressed Coal Co. logo a decent pile of change. Good to know. This post was originally published here on Jalopnik on May 2nd, 2011.